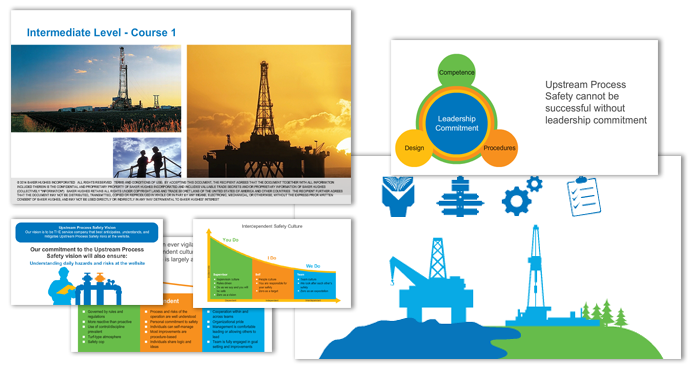 Since 2013 I have been working directly with Baker Hughes to create banners, posters, manuals, e-newsletters, eLearning and training modules, video, and other graphic design elements. 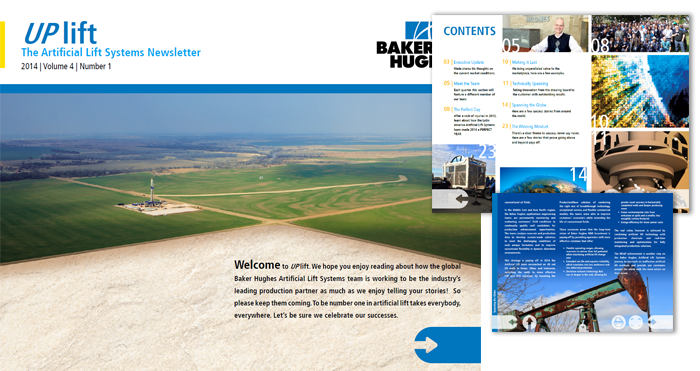 I designed and created the newsletter for the AI department of Bakers Hughes. The newsletter was an interactive PDF created in InDesign and distributed internally. I designed and created 6 different eLearning modules using Flash and Captivate focusing on the Upstream Process Safety content for oil rig employees. I also translated and rendered each of these modules in 7 different languages. 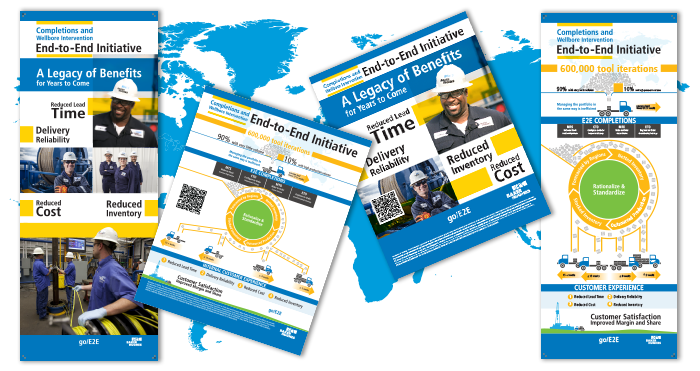 I created several banners and flyers for the End-to-End initiative from the Completions department. 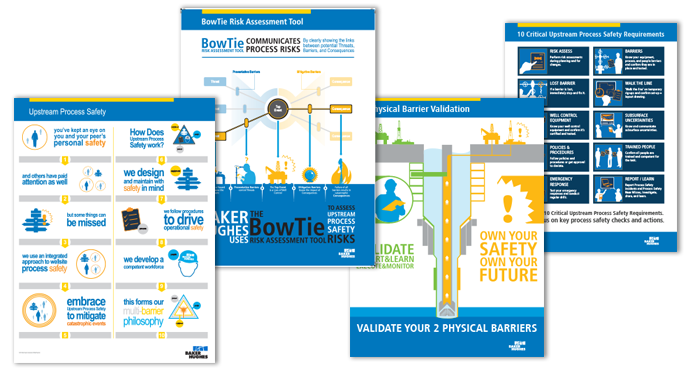 This motion graphic video was created to illustrate how Baker Hughes uses the BowTie Method to explain Upstream Process Safety. I designed many posters created to remind and educate oil rig workers about Process Safety on the job. 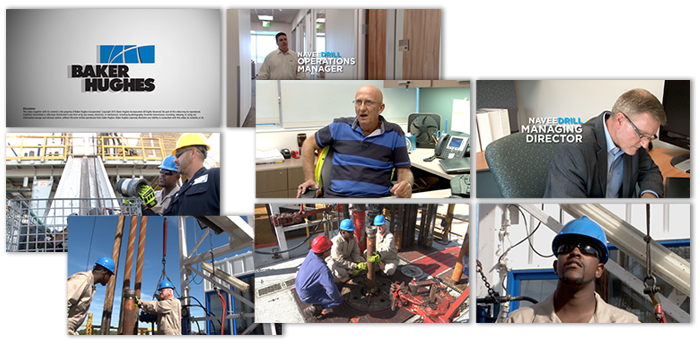 This was a video shoot for Baker Hughes in several locations including two office buildings and an onshore oil rig. The video illustrates a possible incident that can occur when the proper safety procedures aren’t followed. I also translated this video for several other languages. Unfortunately, I cannot show the video publicly.